Who still knows it, the good old Villa. 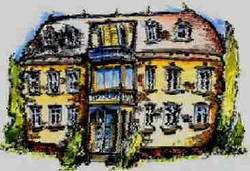 We, the Family Funke, did re-build our beautiful old web page - the one with the "Villa Funke" - completely. You will have seen it immediately, if you did know the old pages. The main issue is, beside the - in my opinion - fresh, modern design, the new technology. Of course no one should see the technology itself, but every visitor should benefit from it: information by time, clear structure and features like search and the calendar (mainly for logged-in visitors). For those, who are technically interested, I will tell that in the background a so-called Content-Management-System (CMS), the Typo3, creates the pages out of a MySQL data base. More technical information about this I will provide soon under a separate menu item.